While I was never interested in living languages, I always had an interest in the Classical World. I was lucky enough to go to a school which taught Latin and Greek. We had to do Latin in first year and I excelled so I chose to continue studying it and also take on Ancient Greek. I studied Latin for 4 years and Ancient Greek for 5. I preferred Greek to Latin and did it for my Leaving Cert. Only 14 people in the whole country sat it that year and I was the only person who did it in my school. Everyone thinks the hardest part of Greek is the alphabet. In fact, that was the easiest! I had that learned very quickly. It was the crazily irregular grammar which was the hard part. I was lucky in that my school was private and seemed happy to run the class just for me. It was brilliant as the class was obviously specifically tailored to my needs. My teacher was amazing - he has a PhD in Ancient Greek and I got an A in my Junior and Leaving Cert. I also got an A in Latin for my Junior Cert but gave it up before Leaving Cert. 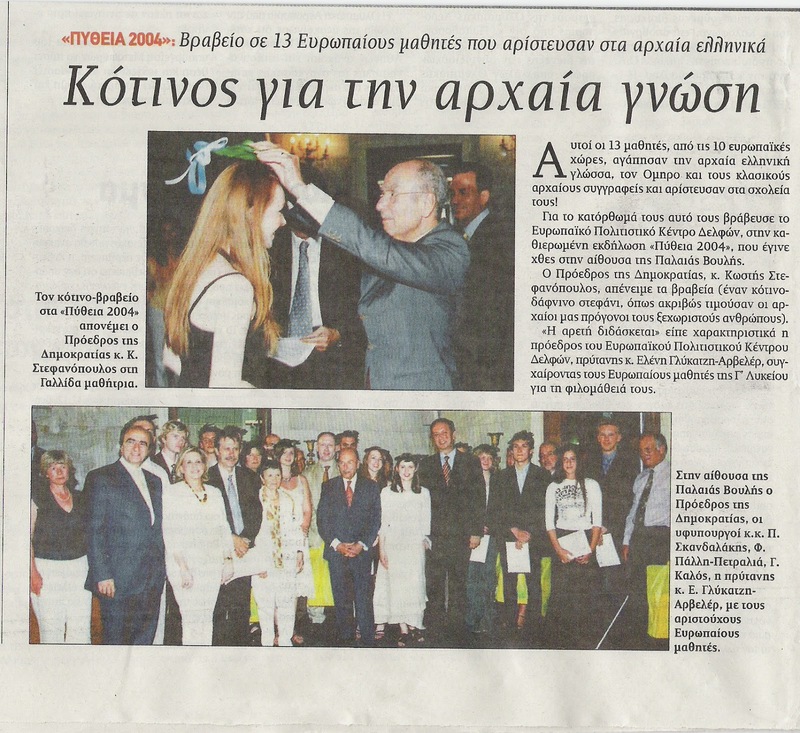 I also won a prize called the Pythia Prize for 'Excellence in Greek Language and Literature'. I was the Irish winner and it was awarded my the Greek Government. I went to Greece with my teacher and the other winners and their teachers. We had a free holiday all around ancient sites in Greece like Athens, Mycenae, Olympia and Delphi - it was amazing. I suppose it gave me the bug to go visiting different historic sites around the Mediterranean. It's a great way to holiday as you have sun and culture so everyone is happy! I went to Turkey on a sun holiday and visited Ephesus. This is a Greco-Roman town very near to Kusadasi and Izmir. It hasn't all been excavated but what has is stunning, especially the library. This town is even mentioned in the bible. Turkey actually has a lot of interesting places to visit as the Greeks ruled it in ancient times. I decided to broaden the scope and not just visit Roman and Greek places of interest, but also other cultures. I visited Egypt and Jordan in 2008 with my boyfriend and tried to visit as many sights as possible. We visited the Pyramids and the Sphynx in Cairo, then on to Thebes (aka Luxor) to visit the Valley of the Kings and Karnak, and also Petra in Jordan. We saw the mummy of Tutankhamun as well as a lot of other mummies, got to see the inside of the Pyramids and go into an actual tomb in the Valley of the Kings. Luckily, no one else booked our tour so we had a personal guide for the whole thing. Petra is amazing - it is carved from the rock rather than 'built'. I wish we had had more time here, it was such a beautiful place. Not all hieroglyphics are high-brow! 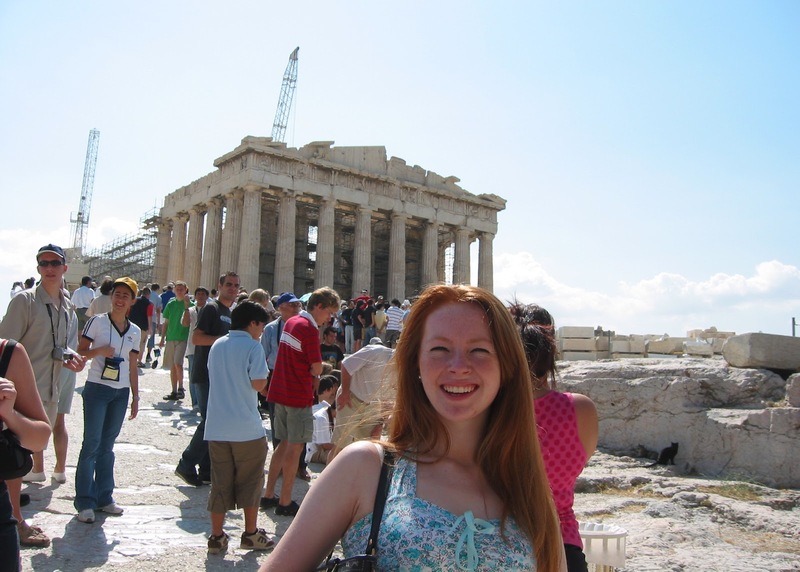 More recently, I visited Rome and Pompeii with my Dad, Cyprus with my boyfriend and Bath to visit my friend. I was actually supposed to go to Libya in 2011 to visit a place called Leptis Magna. Again, there was a big Roman presence in North Africa in those times so there are still ruins present. It was all booked however, war broke out ther 2 weeks before we were due to travel. I would love to go one day as it is beautifully preserved, however safety is much more important. Leptis Magna - one day! It is my eventual goal to see places further afield like Angkor Wat in Cambodia but it is a lot more difficult to 'just' visit them. I really enjoy seeing these places, it's a great way to connect to the past and learn something new while enjoying the sun and a new culture. My latest place is The Pompeii Exhibition in the British Museum next month - 'Life and Death in Pompeii and Herculaneum'. A lot of pieces actually from Pomepii will be there. Can't wait to go and see! I hope you found this post interesting! Ancient history is so interesting! What a great post, Rach! You've chosen a subject that will give you life-long stimulation and pleasure! Enjoy! Thank you so much Caroline. I love my ancient languages and there is so much to see and learn. It's also fun doing something a bit different to the norm. It's amazing how many different places you've been able to visit... I hope I can get to even 20% of that amount some day! I would love to just travel constantly year-round if only it weren't so expensive. Tombs of the Kings is an amazing place! Thanks for sharing your photos with us! The tombs are one of the most intriguing and impressive of the many archaeological sites in Pathos. 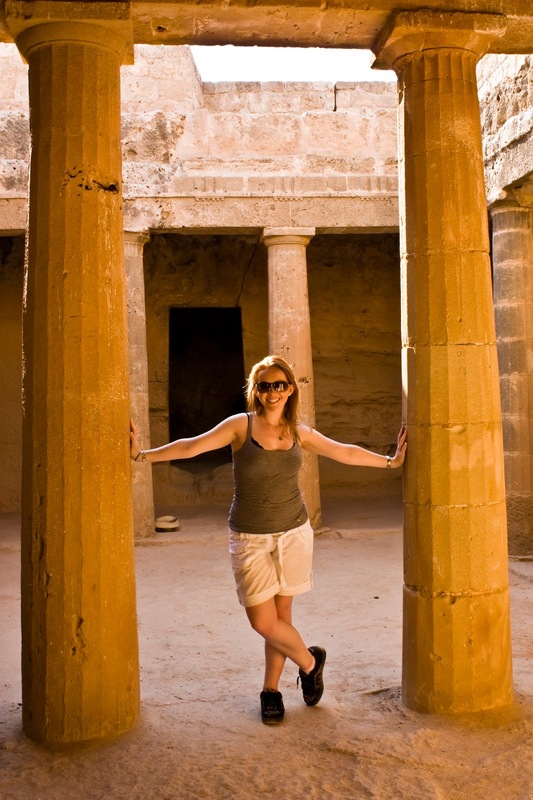 Have you seen any other archaeological sites of Cyprus? Check this link right here to find more places worth visiting.